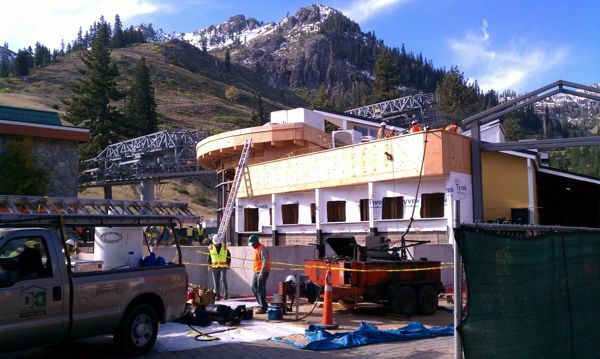 KSL is knee deep into a five year, fifty million investment in improvements at Squaw Valley. The fortress of ticket portals has been completely demolished creating enhanced views of KT and Red Dog from the Village. 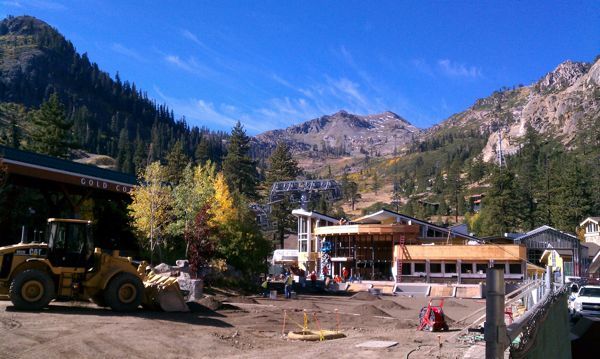 A new ticket office is being built into the main base lodge where the Patagonia store is. The KT Sundeck will now have a two sided bar that can be accessed from the deck or from inside. The lower level of the sundeck facing Cushing Pond will feature cabanas. 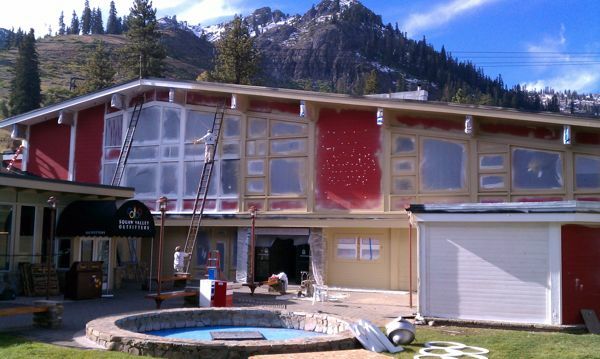 The ground level of Olympic House is getting a long overdue remodel. 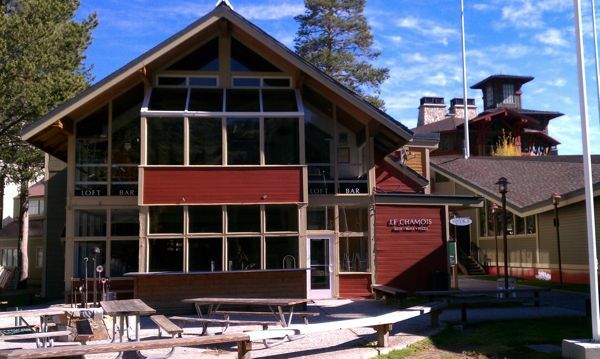 All base facility buildings including Le Chamois are being painted to better compliment the Village. Olympic House after new paint. Note new lamp posts have replaced the round glass bubble lamps that have been there since the Hot Dog movie circa 1983. 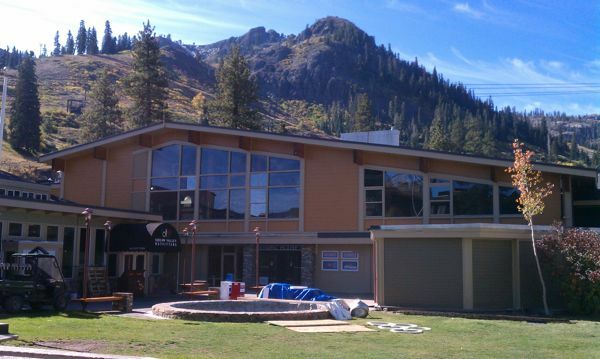 This entry was posted in News and tagged Squaw Valley Rennovations. Bookmark the permalink.